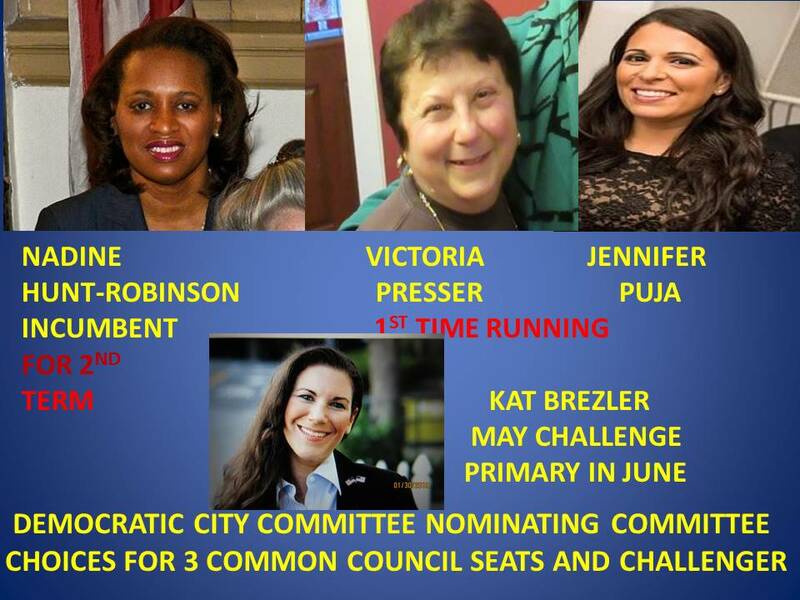 WPCNR NEWS has learned the Democratic City Committee Nominating Committee will submit three women as the Committee choices for District Leaders’ approval to run for three open Common Council Seats at a district committee meeting on February 13. Victoria Presser, former Chair of the Nominating Committee was one of several contenders for the Nominating Committee’s favor. Presser is a public relations professional. Jennifer Puja is the third candidate selected to he presented to the district leader membership. She is currently Labor Council Director of the Westchester-Putnam Central Labor Party, ALF-CIO. She has been employed there for 10 years, rising to her current position. The date for the primaries in New York State by Governor Cuomo, but it is speculated it will be June 25.